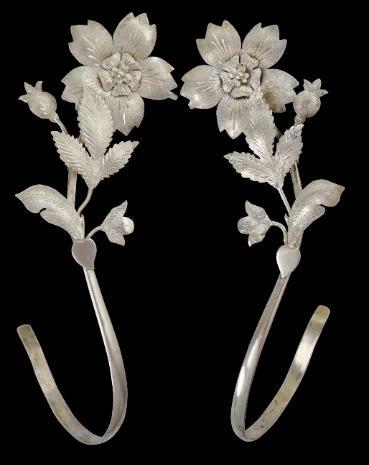 Each of this pair of silver hooks, of shaped, pierced and engraved sheet silver comprises an extended floral head and a rounded hook. 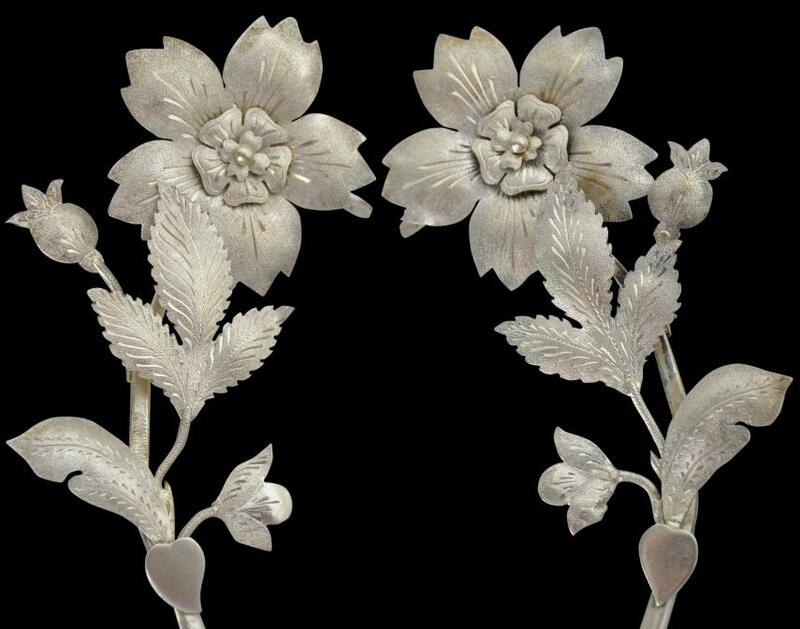 The flowers are prunus or plum blossoms; their surfaces have been decorated with fin ring-punch work. Peranakan Chinese in their wedding or bridal beds in conjunction with fine mosquito netting or fine silk drapes that were pulled back and gathered behind the hook during the day. The beds were typically elaborately carved and of four-poster format. The open sides were hung with curtains which were closed at night. The silver sheet is thin – the hooks are light in the hand. They are in fine condition with no losses. There are no maker’s marks.